This Easter, think outside the chocolate bunny for your children's Easter baskets and Easter gifts! If you have a weekly Family Movie Night, like we do in our house, then you are probably on the lookout for new, family-friendly movies to watch with your children! In this day and age, that can be hard to find - even with supposed "family friendly" movies! So let me recommend the new The Jungle Book: Rumble in the Jungle DVD from kaboom! Entertainment. It really is Family Friendly, has great music and is great for all ages! kaboom! Entertainment is the dedicated kids and family label for Phase 4 Films. kaboom! releases episodic television series on DVD, along with full length animated and live action family features. 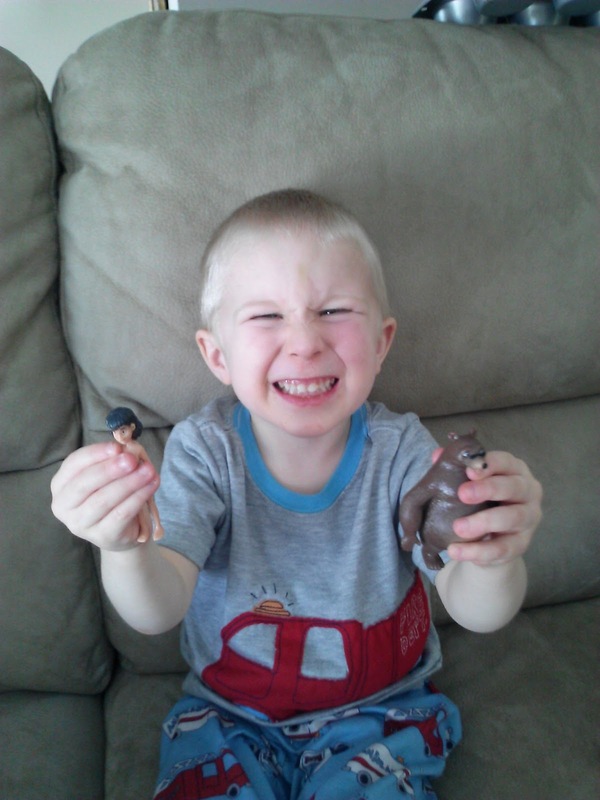 The Jungle Book DVD included collectible toys and my son absolutely LOVED this movie! If your children love the original Jungle Book movie, they will love this animated new Jungle Book DVD and the included toys! So if you are at a loss for an original Easter basket stuffer, grab The Jungle Book DVD - It really will make a great Easter gift! Buy It: You can purchase this limited edition DVD for a retail price of $14.86 from Walmart.